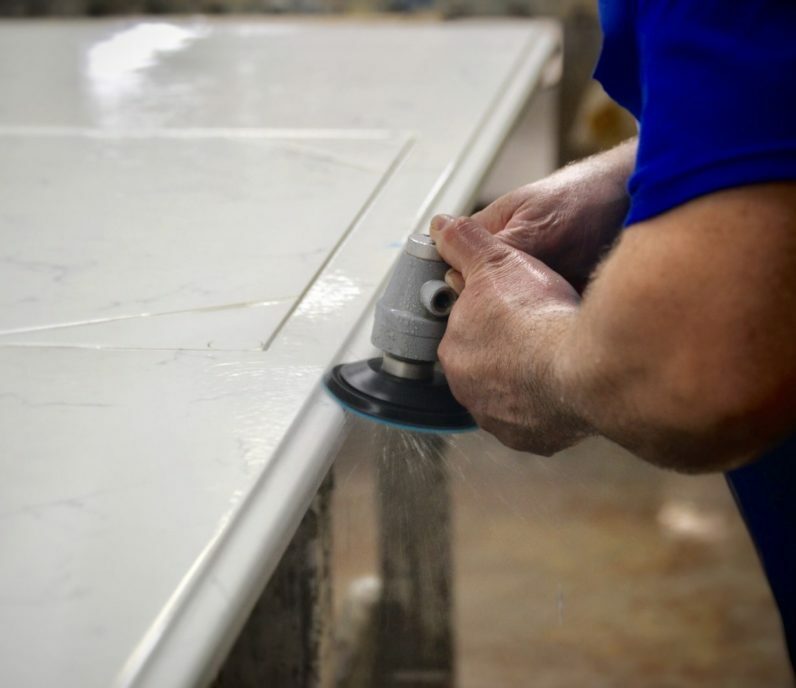 Servicing the Piedmont Triad area and beyond, Marble Granite World is one of North Carolina’s leading fabricators of natural stone including but not limited to granite, marble, quartz, travertine, and quartzite. We transform natural stone into your next kitchen countertop, bathroom vanity, fireplace surround, bathtub surround, tabletop, or outdoor kitchen. We work with homeowners, builders, local contractors, interior designers, and landscapers across North Carolina (and even into neighboring states). Here at MGW, we know how to simplify the process of choosing and completing your next natural stone project! Here’s how to get started. Ready to start your new project? Make a consultation appointment or stop by our showroom. Our experts are here to guide you through the ins and outs of your project. We’ll make sure you have all the information you need to choose the right type of stone for your project. 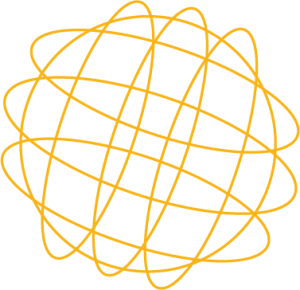 During your free consultation, we’ll discuss your project budget, the timeline of your project, and any customizations you may require. Come prepared to your consultation by bringing a rough sketch or layout of your project along with some perimeter measurements. Don’t worry about being precise…we’ll take care of that later! And at the end of your consultation, we’ll provide you with a free quote! Picking stone colors will never be easy—but we know how to make it easier! During your consultation you’ll be able to browse through our expansive slab yard. There’s something special about seeing your future kitchen or bathroom countertop right in front of you in full slab form. 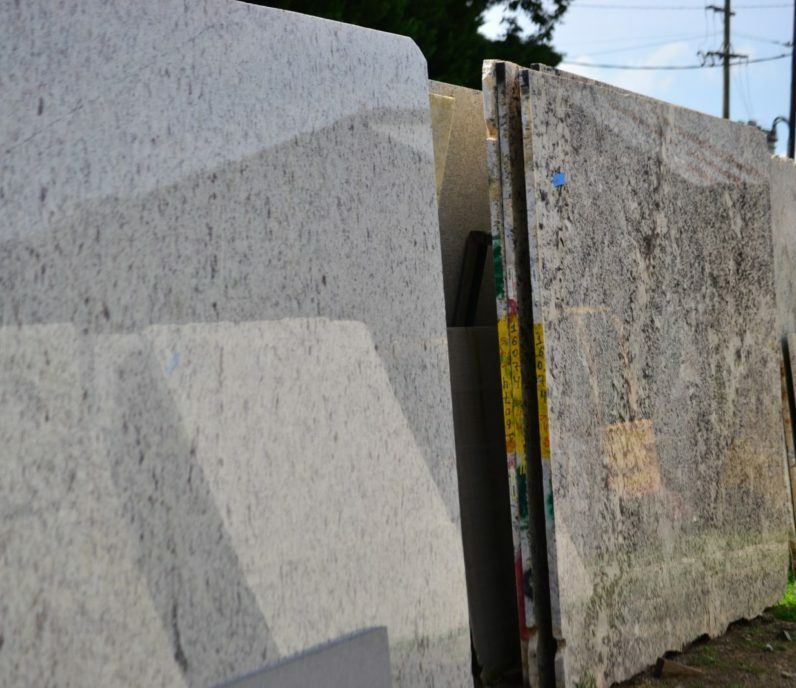 If the slab of your dreams isn’t in our slab yard, you can always check out our supplier warehouses nearby. There, you’ll be able to walk through many more slabs. The choices are virtually limitless! Our staff are here to help you pick the right stone type, color, edge type, sink type, cooktop cutouts, and other details to make your project uniquely YOURS. 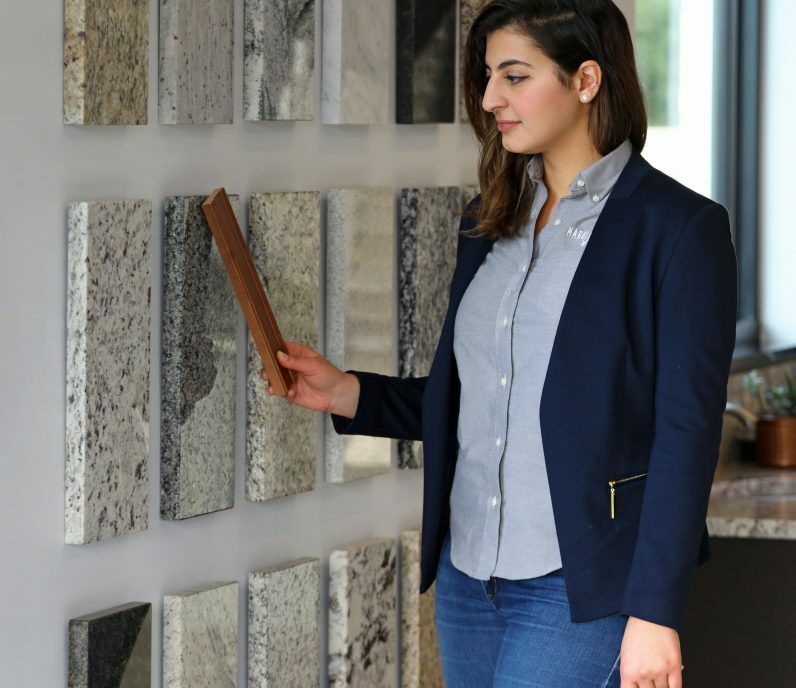 We always suggest that our customers bring in a cabinet door, sample floor tiles, backsplash tiles, or paint chips to help compare and match the color schemes with your stone. If you’re having a difficult time visualizing the color schemes, our interactive online tool will help guide you in the right direction. Once you sign a contract and pay a deposit you will reserve your slab, and the ball gets rolling! From this point, we generally need 7-10 business days* to completely finish and install your project. The first step is templating. Our templating experts will visit your project site to create a precise digital template using state-of-the-art laser technology. While on site, our templating experts will answer any further questions you may have about the process. The whole templating process takes an average of 1-2 hours* and will be completed in one visit. 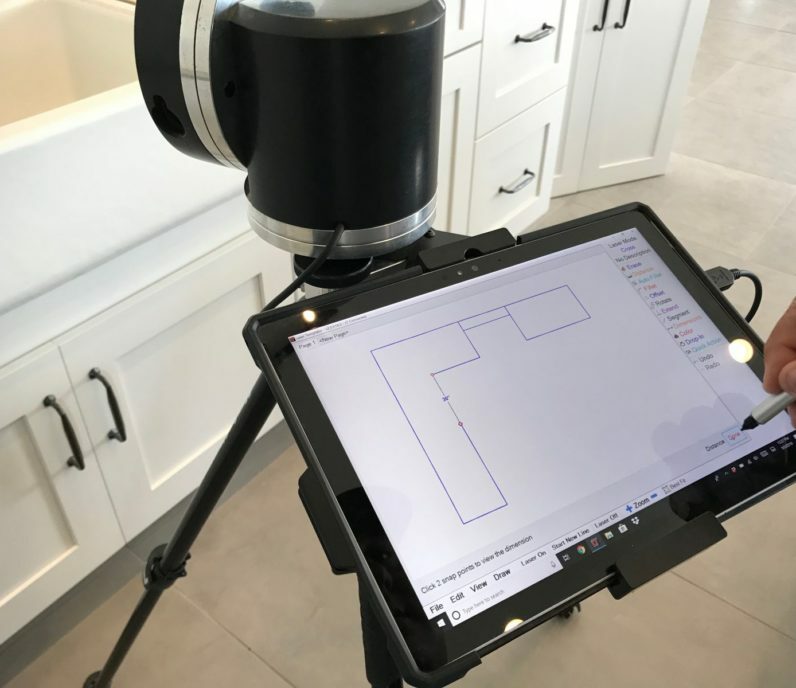 Please clear the job site of any clutter, as the laser templating machine requires clear sight of all walls, cabinets, and supporting structures. Once templating is complete, you can stop by our slab yard again to customize how your project will be laid out on the slab. Our customers love having the ability to fully customize their projects! Every MGW project is cut using our highly precise, automated CNC machine. Your pieces then go through the fabrication process to add the finishing touches. Our stone craftsman will cut, shape, and polish your material so that it’s ready for use immediately after its installed. In our shop, we’ll customize the edge type for your project, and will even hone or leather the surface of your pieces if you prefer one of those custom finishes to the classic polished finish. The entire fabrication process is customized to meet the needs of your project. Before your pieces leave our shop, sealer is applied to protect them from staining. A final inspection then takes place before they’re loaded into our install trucks. Installation is the final step! Our install teams will transport and install the finished product at your project site. 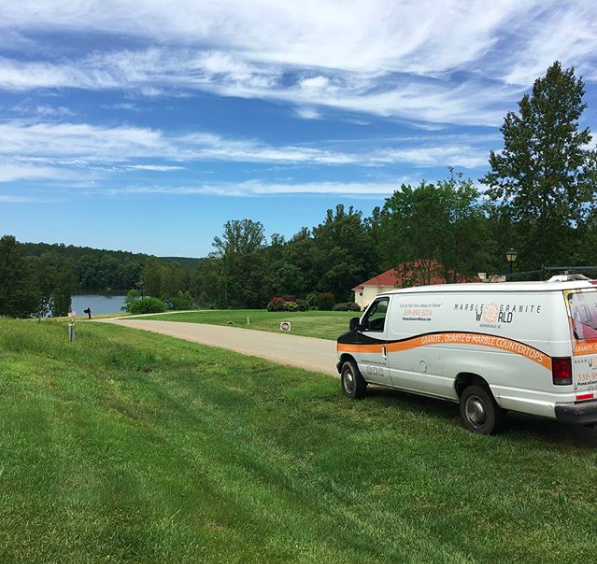 Prior to your scheduled install date, it’s important that you clear the entire project site so that our installers have space to work. Within 2 to 5 hours*, our team will have your finished product ready so that you’re able to enjoy your new natural stone for a lifetime! *These time frames are averages. Actual time frame will depend on size of job and material used.